Designers focused on blending the visual, technical, and functional aspects of a project to create revolutionary and stunning spaces. Intelligent planning. The crave of innovation. Attention to even the smallest of details. With our team of Designers and Canada’s leading manufacturer of fine custom millwork, you can be certain that the outcome will defy mediocrity and define excellence. It’s our passion, let us get started on your next project. I enjoy the process of design and the challenge of the build. Every project has unique challenges so every job is a new adventure, even if we claim to have seen it all before. I surround myself with very capable, enthusiastic, professional and personable Team members. I enjoy searching for and finding new talent to further exceed the expectations of our Clients. Feel free to reach out to us, we would love to hear from you! 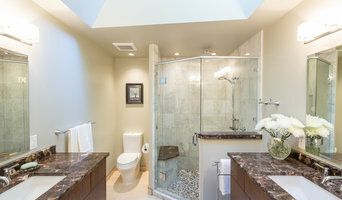 Alan O'Rourke Construction is a general contractor and project management company, whose founder and owner has over 25 years of construction experience and a solid reputation for quality, service, and honesty. We pride ourselves in high quality craftsmanship with a strong attention to detail. 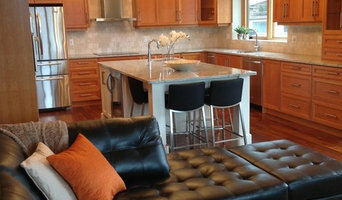 We specialize in projects of all different sizes including new home construction, heritage and character home restoration, condo and loft renovations and upgrades, and contemporary and modern upgrades to your existing home. Our clients are continually provided with detailed job tracking and budget updates during the process of the project. We are a team of experienced, innovative builders who believe the best way to deliver quality home building and renovation projects is through solid project management, dependable communications policies, and respect for our customers and their neighbourhoods. We know that the house we build is your home and the distinction is not lost on us. We make our living improving the way you live. The best way to do that is to work openly with you before, during, and after the physical construction phase. To facilitate this, we provide online weekly reports on the progress and status of your project. A commitment to listen to your feedback and hold ourselves accountable for our work is written directly into your contract. Our team maintains open lines of communication internally and externally to ensure that the best people and products are used in the right places and at the right times. The focus is on shared knowledge and the pursuit of individual skills. We strive for efficiency in our time management and asset allocation. Get in touch with us and experience it for yourself! 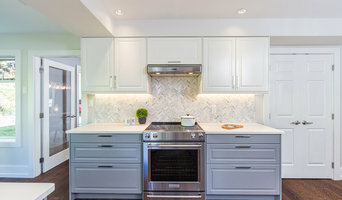 Nanaimo's Interior Designer| New Home, K&B Expert | 4x Best of Houzz! Seabrook Developments is a relationship focused builder. Forming trust and respect is the forefront of our conduct and commitment to quality. Seabrook Developments has a genuine consideration for our client’s needs. Our openness and accountability is our ongoing mission. With over 18 years of combined construction experience in both commercial and residential contracting, we believe that teamwork is the essence of a successful project. We can offer a wide range of services for both residential and commercial spaces. So whether you have a million dollar project or a simple renovation, Seabrook Developments can help make your dream a reality. 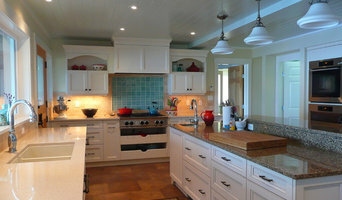 Kitchen and Bath cabinetry design. Over 12 years experience in Victoria. Driven by innovation and meticulous attention to detail, our team of journeymen carpenters and certified apprentices continually strive to improve our craft and the homes we build. We specialize in sustainable building practices such as passive solar design, passive house, net zero, Green Built and LEED combined with construction materials designed for the climate in the Pacific Northwest. Our team focuses on creating beauty and function in the built environment that will last for generations. NZ Builders Ltd. was founded in 2004 and has over 18 years of construction building experience within New Zealand, Australia, California and Canada. The head office is located in Victoria BC. We continue to work locally, as well as on international projects. Since our founding, we have worked on a variety of dynamic construction projects including modern and traditional home builds, renovations in commercial and residential. Our high-performance custom homes provide substantial, ongoing savings on utility bills, with passive home technology resulting in up to 80% less energy consumption and a priceless healthy indoor environment over conventional houses. Building sustainably, NZ Builders Ltd. will bring the “wow” factor to the home of your dreams. We are an industry leader in building and creating spaces tailored to age in place retirees. Contact us now to find out about our upcoming homes for sale in the Cowichan Valley! We're an Energy Star and Built Green BC certified custom homebuilder specializing in energy efficient custom homes. Focusing on building envelope air tightness and insulation to achieve maximum efficiency and indoor air quality for long term affordable living. We're also a registered RenoMark Contractor specializing in whole home renovations, including kitchens, bathrooms and additions.We are proud to have long term employees who are fully qualified and take pride in what they do. 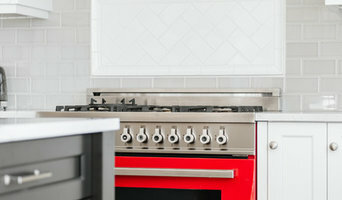 If it is part of your home we'll build it or renovate with your best interests in mind.